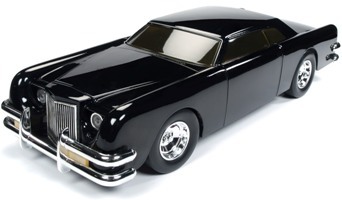 This is a 1:18 scale die-cast replica of the Modified Lincoln from the movie, "The Car." What EVIL Drives! Features the highest quality construction and fantastic attention to detail. A small town is terrorized by a fast black indestructible car, which is killing people by running them over, or ramming their cars off the road. It's up to Sheriff Wade to catch it before the driver before kills again. The only problem is, there's no one behind the wheel.